Today was a walking day. 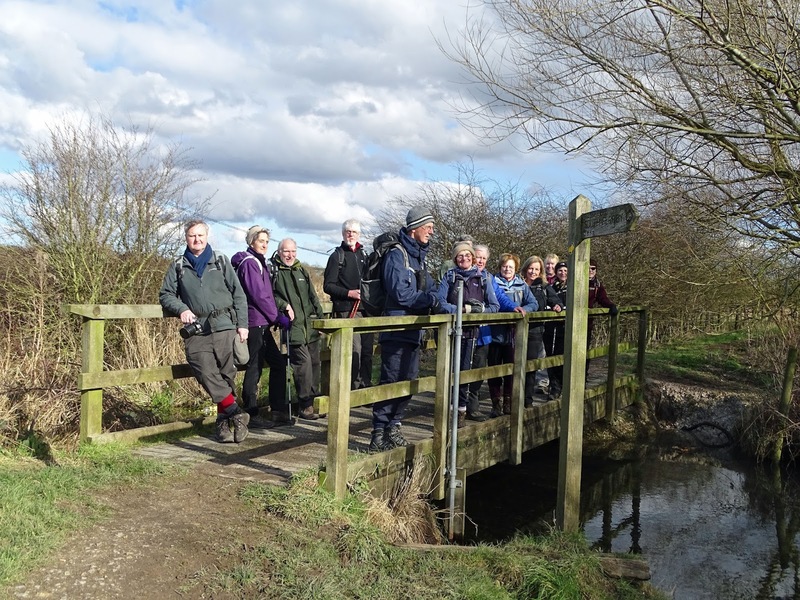 I had volunteered to lead a walk with my walking club and as the sun was shining it would have been rude not to keep to the arrangement. 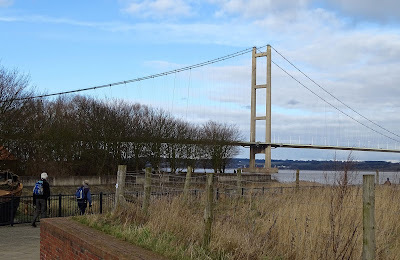 17 of us crossed from the North Bank of the Humber to the South Bank over the mighty Humber Bridge to meet up with a member of the walking group who lives on the South Bank. 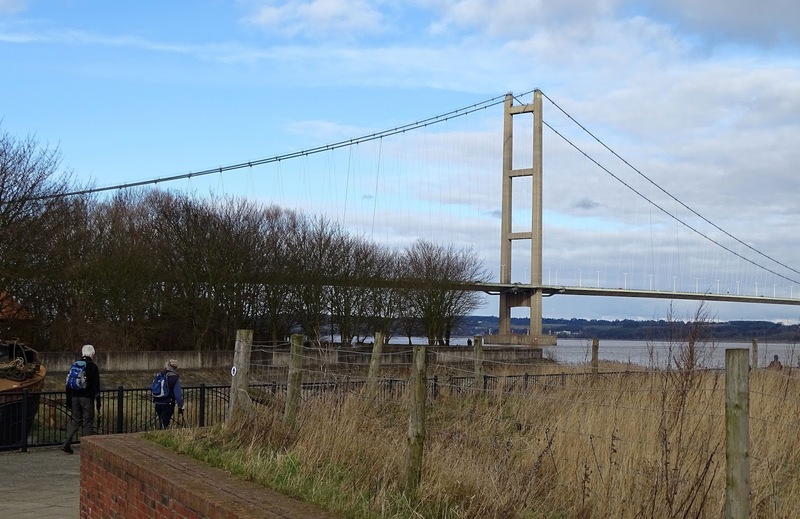 We met at the Waters Edge Visitor Centre where, you can enjoy the view across The Humber and watch wild life on the surround ponds and enjoy the facilities of the centre and its café. We left the visitor centre and set off west along the river bank going under the bridge. 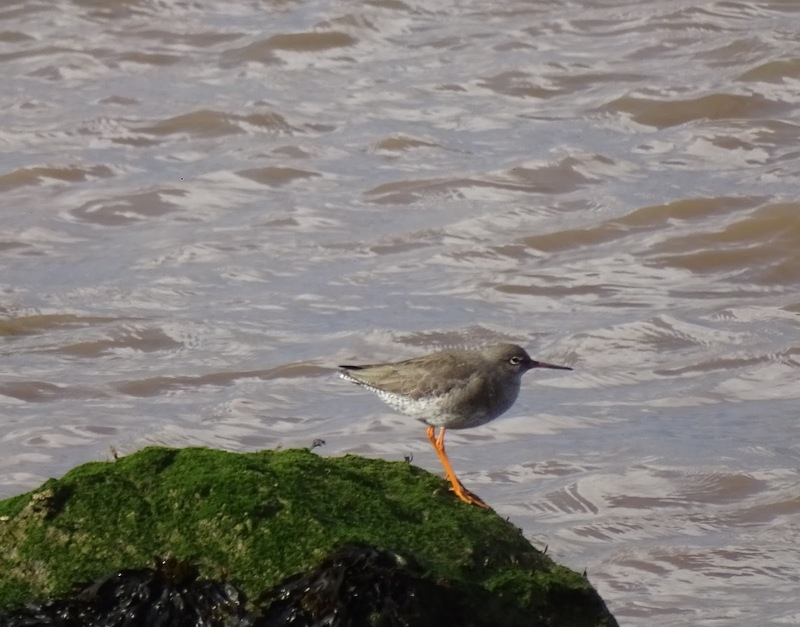 As we continued along the river bank we kept an eye out for wild life and spotted this bird. Non of the group could say what it was however I checked my bird book when I got home and the nearest I could find was the Purple Sandpiper, but if you know better let me know. Further along our route we had to make a detour as the path came to an abrupt end. The path had been diverted as the river bank had been breached and the path was no longer accessible. This meant we had to go further then initially planned however, it didn't put anything onto the mileage so we continued a little in land before picking up the river bank once again. We continue along the river bank taking occasional breaks to take in the views and draw breath. 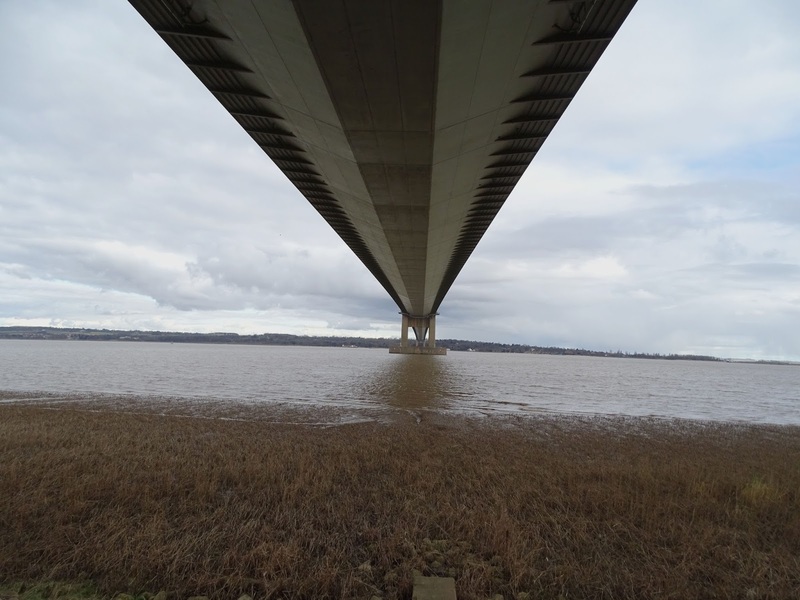 Eventually South Ferriby came into view so we decided it was time for lunch and sat along the river bank for a well earned rest. 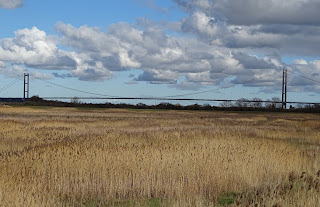 After lunch we headed down into South Ferriby. I spotted this house which reminded me of a Grand Design type build but not to my taste. We carried along the road before heading down a path to the Far Ings Nature Reserve. 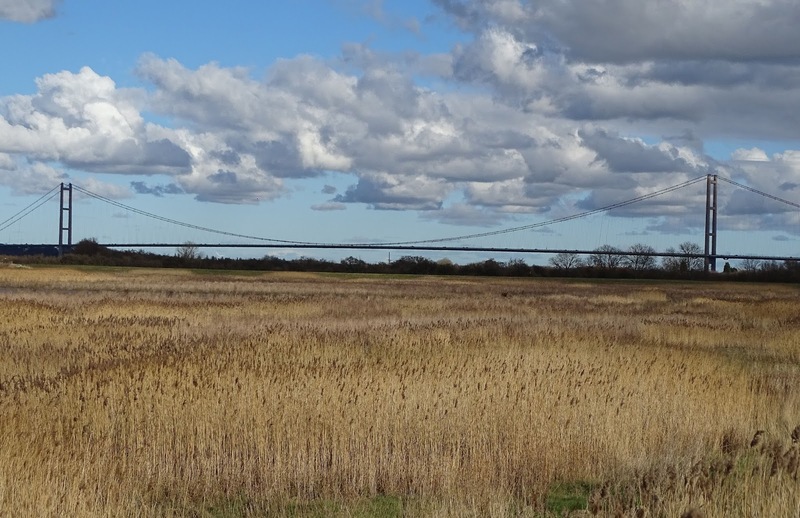 Through the reserve there were views of The Humber Bridge again and also an opportunity for a group photo. All in all a wonderful 8.5 mile walk suitable for a winters day. It was helped along by good company and wonderful sunshine, which of course I had ordered as I detest walking in the rain. Back at the Waters Edge some of the group took advantage of the facilities at the visitor centre while some us decided to finish with a visit to The Ropery. This has a café, a little museum about the old Rope works a gift shop and art gallery.